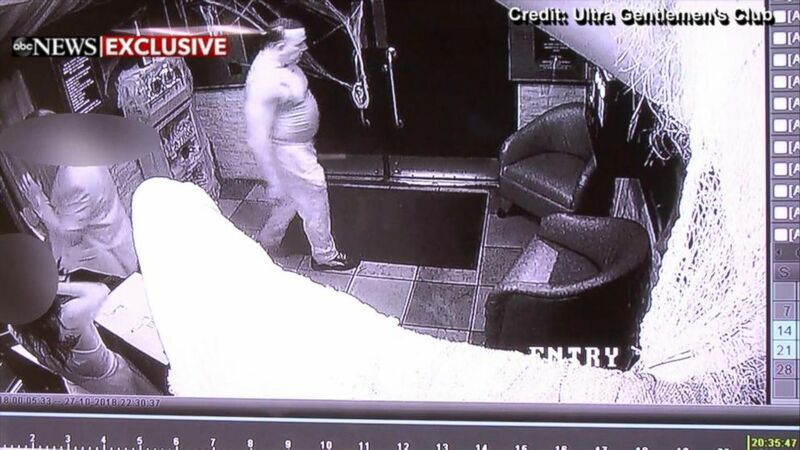 Mail bombing suspect Cesar Sayoc spent the early morning hours of the day he was arrested shuffling through press clippings at the Ultra Gentlemen's Club in West Palm Beach, according to exclusive surveillance video obtained by ABC News and sources at the club. Sayoc was arrested on Friday for allegedly sending at least 14 suspected explosive devices to a number of prominent Democrats and critics of President Donald Trump, including former President Barack Obama, former Vice President Joe Biden, California Rep. Maxine Waters, New Jersey Sen. Cory Booker and CNN's offices in New York. He was charged Friday afternoon with five federal crimes: interstate transportation of an explosive, illegal mailing of explosives, threats against former presidents and certain other persons, threatening interstate communications and assaulting current and former federal officers. He could face as much as 48 years in prison. Sayoc filled in as a DJ at the club as recently as Thursday from noon to 9 p.m. The surveillance footage shows him bringing bags into the club Thursday at 11:35 a.m. for his set, and then exiting the club later that night. (Ultra Gentlemen's Club) Mail bombing suspect Cesar Sayoc at the club where he filled in as a DJ the day before he was arrested. Scott Meigs, who says he has known Sayoc for 20 years, described him as "a very nice guy." "I would never think that he would do anything like this," Meigs, who is also a DJ, told ABC News. "He was very polite, very outgoing. Very good with the customers, very good with the entertainers. Never a problem." Meigs added that it wasn't until three weeks ago that Sayoc started talking about politics. "I just thought it was passion, that he was passionate about politics," he added. "But he did talk a lot about it, trying to tell everybody to vote Republican in the upcoming elections." When Sayoc left the club and went to the gym after his shift Thursday, according to witnesses, he returned Friday at 2:16 a.m. -- just hours before he was arrested -- to collect his tips from earlier and hang out. (Ultra Gentlemen's Club) Mail bombing suspect Cesar Sayoc reading newspapers and eating the night before his arrest. The 56-year-old can be seen on footage from inside the club spreading newspapers across the empty banquet table in front of the stage. Sources at the club told ABC News that they saw Sayoc going through press clippings while seated in the lounge during these hours. 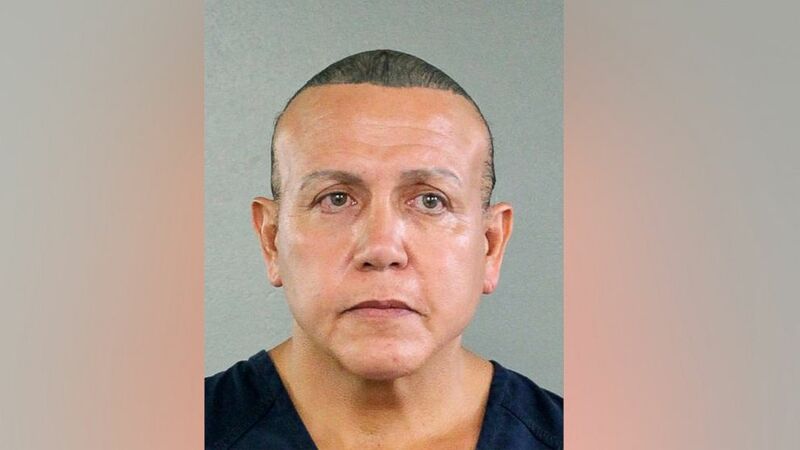 Sources at Ultra Gentlemen's Club told ABC News that employees and patrons there saw Sayoc burning items in a small fire outside his van, parked in the club parking lot, between midnight and 2 a.m. Friday morning. 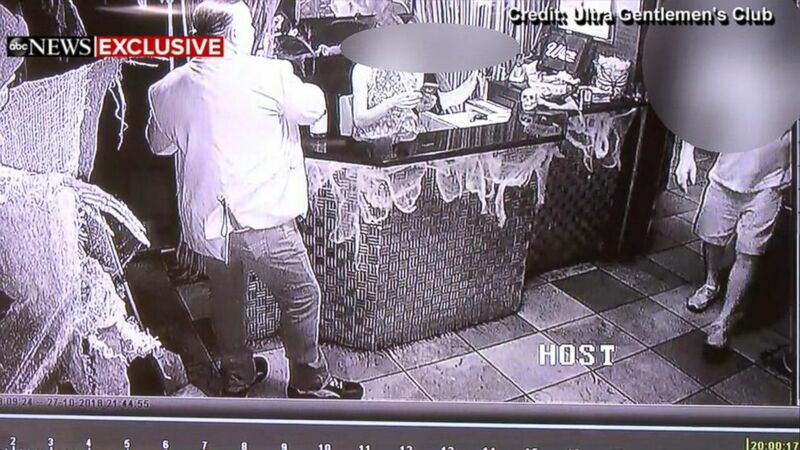 ABC News reviewed the surveillance video from the parking lot and is unable to see a visible fire, but is able to see patrons approaching the van. (Ultra Gentlemen's Club) Mail bombing suspect Cesar Sayoc at Ultra Gentlemen's Club in West Palm Beach the night before he was arrested. Photos from club sources of the remnants of the small fire lit by Sayoc outside his van that night showed a charred paperclip among the alleged remnants of a fire visible in the photos. 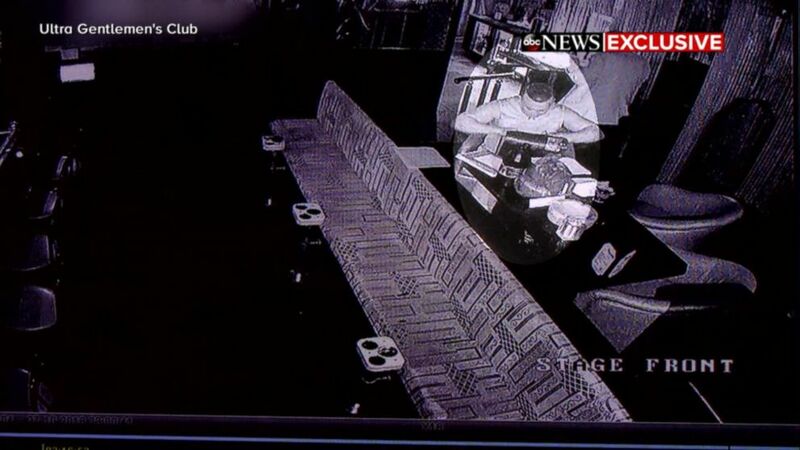 Sayoc had only worked at the club for about two months. 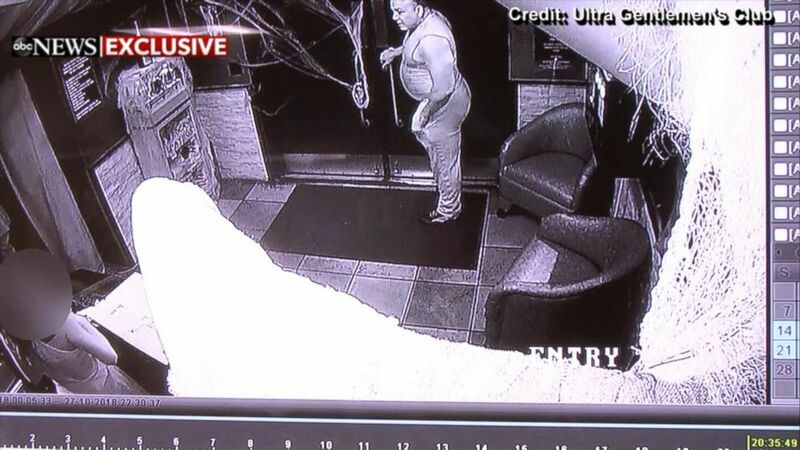 Surveillance footage from mid-October at the club, acquired by ABC News, showed Sayoc greeting guests at the front door and chatting with other employees at the front desk. He was arrested just before noon in the parking lot of an AutoZone car parts store in Plantation, Florida, about 40 minutes south of the West Palm Beach club where he worked. He was apparently living out of his van, which was plastered with stickers denouncing prominent Democrats and touting the president. 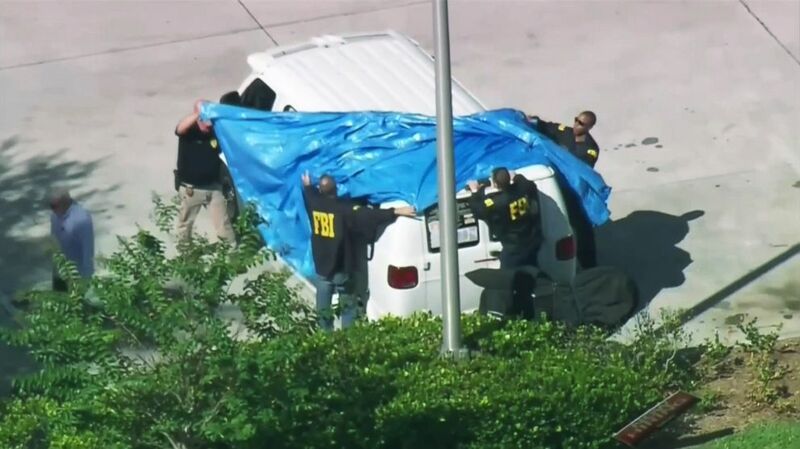 That van contained a printer, stamps, paper, an unidentified powder and soldering equipment, pointing at least preliminarily to the vehicle being a possible location for the assembly of the alleged improvised explosive devices (IEDs), according to two officials briefed on the probe. ABC News' Josh Margolin, Jack Date, Aaron Katersky and Mike Levine contributed to this report.